Who's polling high? As the year-round conversation around the Rock Hall rages on, some acts are cropping up repeatedly as potential nominees for the Class of 2017. Let's identify a few of them. The Monkees - Hey, hey! Not as fictional as their many detractors would like you to believe, '60s TV stars-turned-real-band the Monkees are riding a terrific wave right now with a strongly-reviewed new album, Good Times, and an imminent tour. Rock Hall recognition isn't out of the question. Is wanting to be the Beatles such a bad thing? 25 years eligible, no nominations. The Cure - What's a fan of British "mope-rock" to do? The Smiths have had no luck getting inducted the past two years despite consecutive nominations. 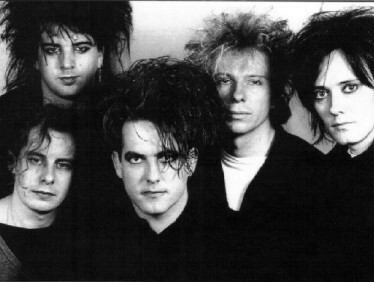 It's not a stretch to think the Nomination Committee might skip a third nomination and pivot back to one-time nominees the Cure. It's rather easy to envision them performing at the induction ceremony. Eligible as of 2003, nominated in 2012. Judas Priest - If you think that Judas Priest won't be one of the next metal acts to get into the Rock Hall, you've got another thing coming. Guided by Rob Halford's operatic voice/shriek, they released several classic albums in the the '70s, but their major successes came in the Reagan era with British Steel (1980) and especially Screaming for Vengeance (1982). Meanwhile, MTV videos helped fill the heavy metal parking lots. Consistently mentioned alongside of Iron Maiden as a Rock Hall snub, but they probably get in first, if they get in. There's a slight chance they have a Rock Hall Nomination Committee advocate in Questlove. Eligible for 17 years, no nominations. 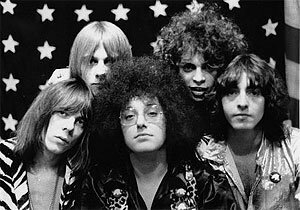 MC5 - One of the foundational outfits of punk rock, Detroit, Michigan's confrontational MC5 is the type of act one would think the Rock Hall would go out of their way to honor, at least in a perfect world. However, the explosive crew may have an advocate in Tom Morello, who has given them props repeatedly. Eligible for 25 years, nominated in 2003. Nina Simone - Poet, warrior, pianist, chanteuse... there aren't enough words to describe the late, great Nina Simone. With a profound depth of influence and a sterling, socially conscious songbook, not to mention an acclaimed recent documentary, What Happened, Miss Simone?, the Rock Hall may finally get her on the ballot. Eligible for 33 years, never nominated. Jane's Addiction - It's hard to understate the impact that Jane's Addiction had on '90s modern rock, i.e. what became known, for better or worse, as "alternative music." 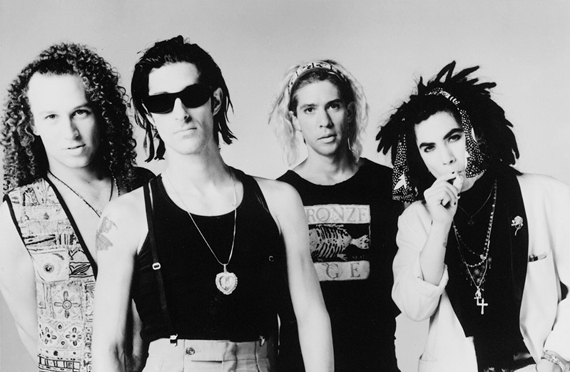 Singer Perry Farrell founded Lollapalooza, of course, and the band dropped two indisputably classic albums in a row with Nothing's Shocking and Ritual de lo Habitual. Melding funk, metal and psychedelia with tribal rhythms, they're one of the more singular, exotic acts of their era. And while you could justifiably argue diminishing returns with their later output, Jane's Addiction accomplished much, and influenced scores of bands that emerged in their wake. Eligible in 2012, not yet nominated. Journey - Rock and Roll Hall of Fame Foundation CEO Joel Peresman, during an interview with Den of Geek this past April, was asked about bands he was surprised weren't yet inducted, and he mentioned Journey. Commercially successful, and quite a few hits, but Journey may still be a RRHOF question mark, as populist arena rock of this ilk has been snubbed by the institution up until recently. Eligible for 16 years now, but never nominated. Little Feat - The late Lowell George's dynamic collective, which which wove a tapestry of blues, country, R&B, funk and more, is still a touring concern. Additionally, they're beloved enough by fans to land at #2 on Rolling Stone's recent readers' poll of who should be inducted in 2017. So Little Feat may very well be on the Rock Hall radar. Eligible as of 1996, never nominated. Good call on the Monkees, I would really like for them to be nominated. Good Times is a great album, and they're clearly loved and have influenced many artists! Electric Light Orchestra have been getting lots of buzz since September 2014! ELO has also influenced many artists across various genres.